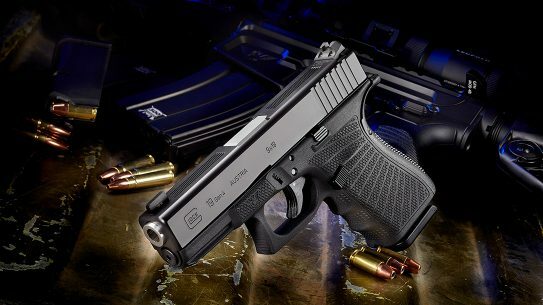 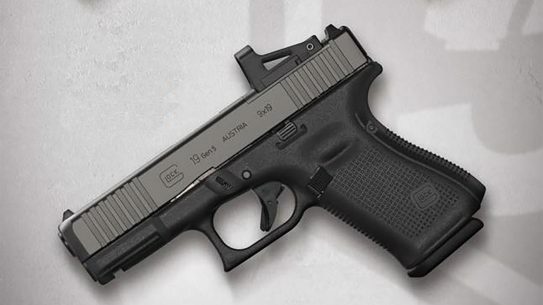 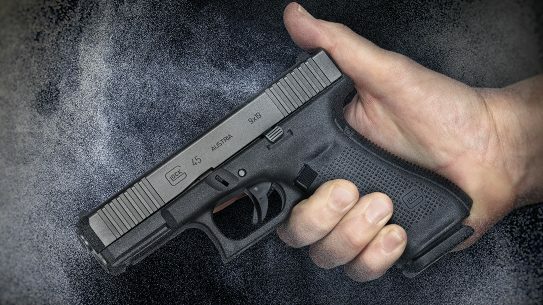 The all-new Glock 45 builds on the success of the G19X with a few extra addition including an all-black Glock nDLC finish and front slide serrations. 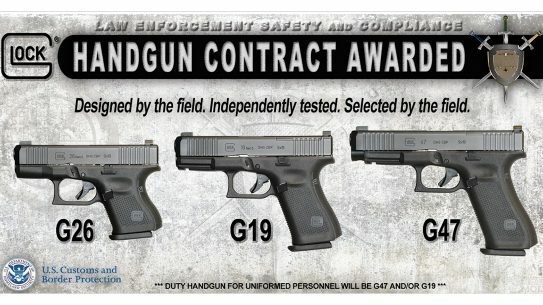 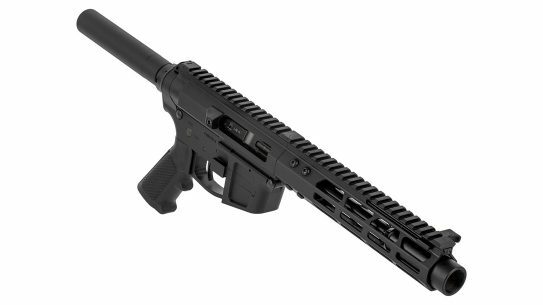 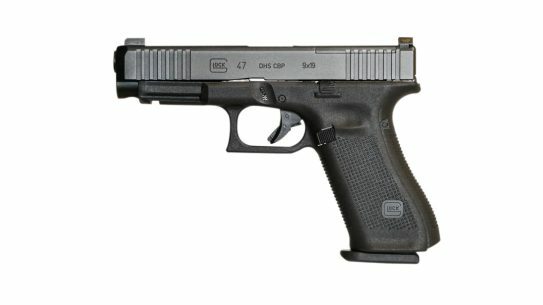 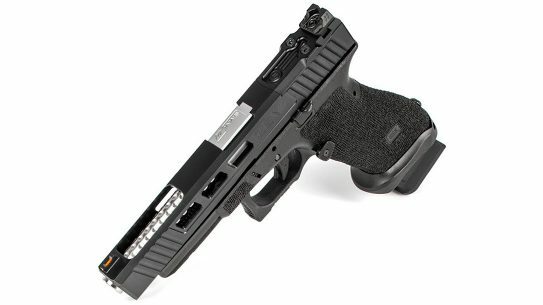 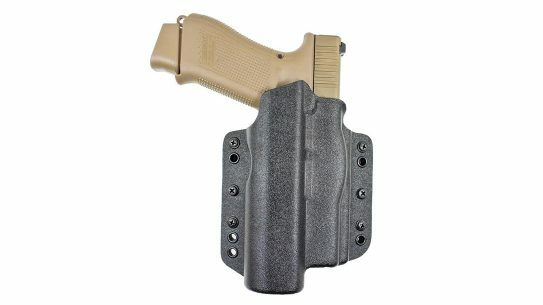 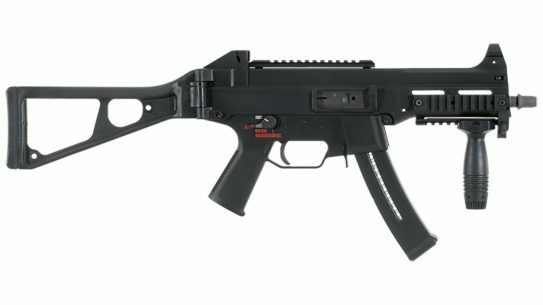 Available in a limited batch of 25, the newly revived Zev Technologies Longshot slide works with Glock 34 Gen3 pistols. 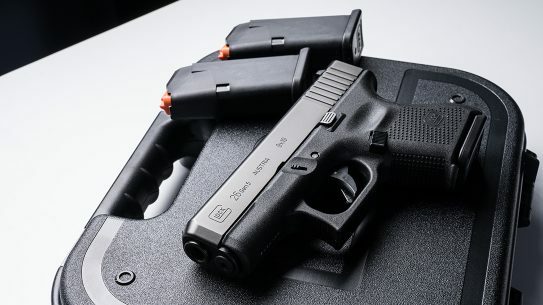 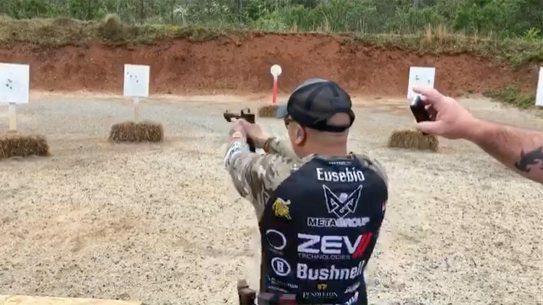 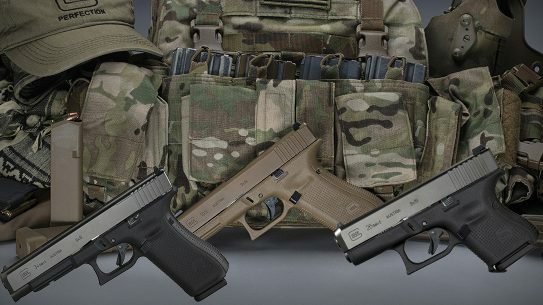 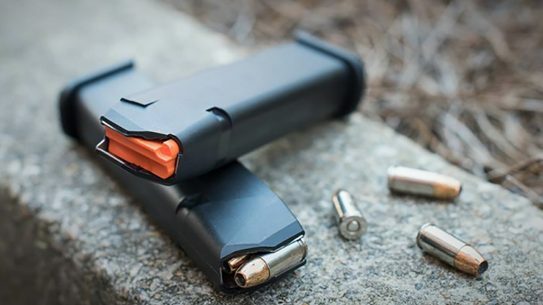 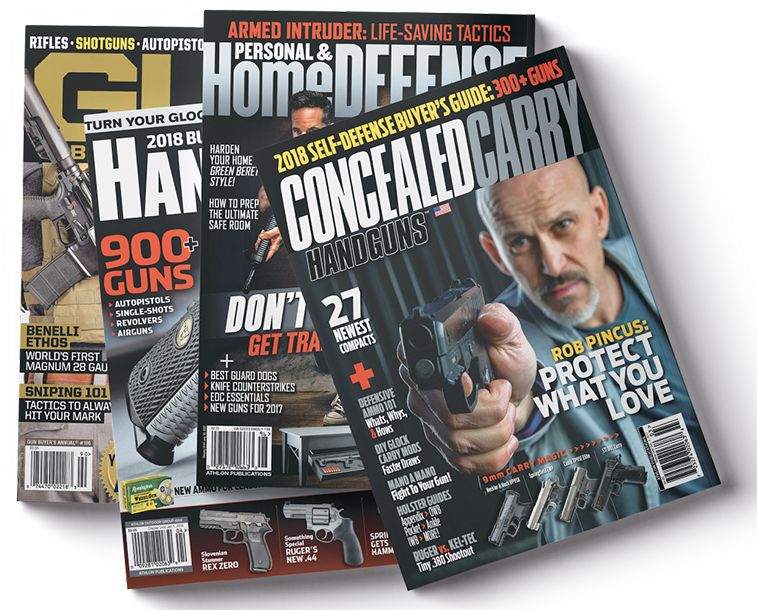 The new 24-round Glock magazines should serve as a balance between the 17-round option and the bigger 33-round variant. 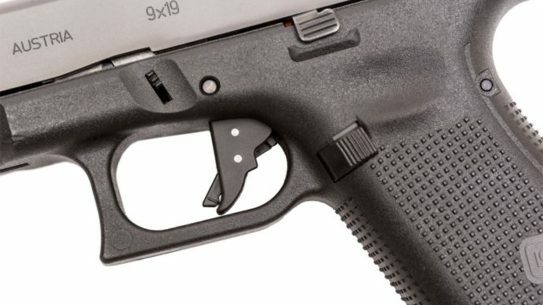 TangoDown's new Vickers Tactical Carry Trigger accommodates Gen3 and Gen4 Glock pistols in 9mm, .40, .45 ACP and 10mm, as well as all Gen5 models. 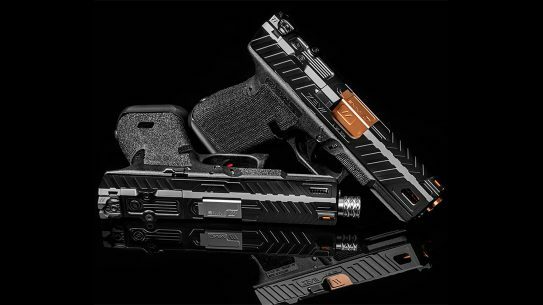 The Raven Glock 19 slide from Zev Technologies is coated in black diamond-like carbon and features chevron-styled top serrations that continue down the sides of the slide.